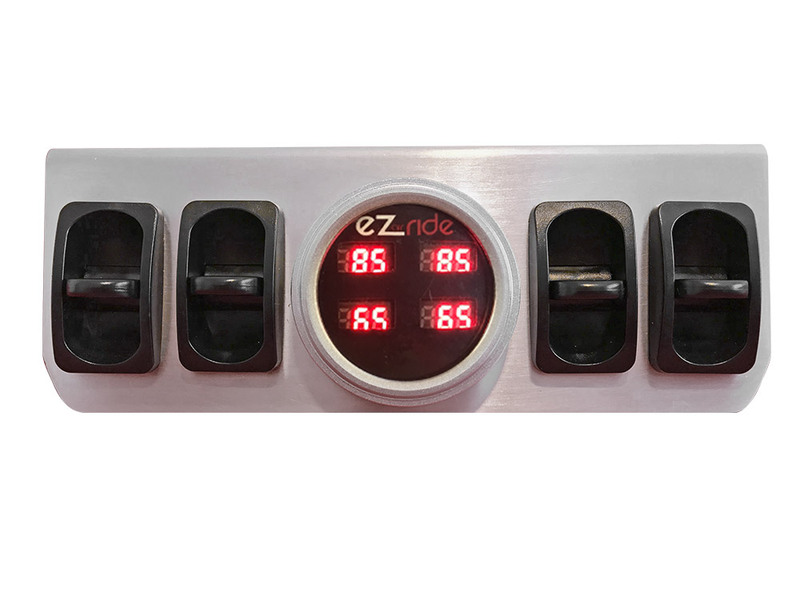 Our Classical+ Digital gauge panel features our newest EZ Air Ride exclusive, digital 4-Corner Gauge. The gauge has all internal sending units, so there is no extra plumbing, wiring or mounting necessary. The panel also include 4 paddle valves for front, back, side to side control. You get the best of both worlds; simple installation and ease of use with precision monitoring and modern looks. These billet gauge panels were designed to give you that clean and classic look when mounting them in your vehicle. 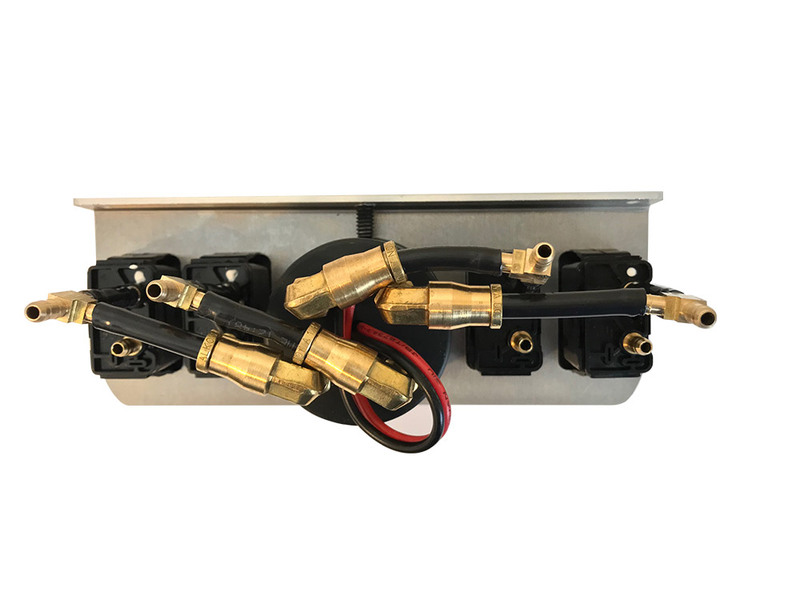 The panels are an integral part of our newest Classical+ Plus Air Ride kits, but they also will integrate easily into any existing air ride system with paddle valves or even replace electric valves/switches entirely to achieve that smooth air ride control feeling. Each panel features driver-seat, finger-tip, calibration. No levelers or ECMs to mess with here. Ease of install is foremost with these gauge panels- there are only 2 wires and a few pieces of air line to connect as well as mounting.